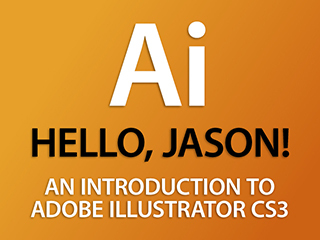 Mordy Golding, a former Product Manager for Illustrator during the CS and CS2 revs, has posted a new video tour podcast of Illustrator CS3 over on his blog Real World Illustrator. The video does a great job of explaining the new features in a way that even makes sense to non-expert Illustrator users such as myself. At XPLANE our designers and concept developers use Illustrator almost exclusively, so I've had to become a lot more familiar with the program. With the current CS2 version getting artwork from Illustrator to Flash is a pain, and I spend roughly 15-20% of my time just manhandling graphics before I can even begin to think about ActionScripting. I can't explain how happy I am to have pre-ordered my copy of the CS3 suite so I can spend my time doing what I do best: code. Flash Developers, we owe Adobe big for this release. Foundation Actionscript 3.0 Animation: Making Things Move! I'm Jon MacDonald, an e-commerce advisor from Portland, OR, USA. More info? Click here.